A very common problem for pregnant diabetic women is ensuring the health of their unborn baby. It is a danger when your baby is born with a large body and this condition is referred to as ‘macrosomia’. It occurs when the blood of the mother intermingles with the baby’s blood inside the womb. When this happens the baby produces lots of insulin in order to process the glucose in the blood, leading to fatty deposits. This is what makes the baby larger in size than those produced by non-diabetic mothers. 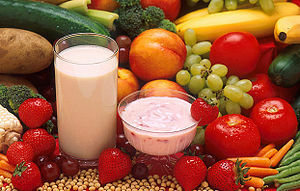 It is important that you maintain a healthy weight during pregnancy. Of course you are going to put on weight, but you must do it properly and not pile on too much as it will do you and your baby harm. You should not neglect your nutrition either at this time and must make concerted efforts to ingest more vitamins than you normally would for your baby to get the benefits. Take a multi vitamin as well as folic acid. Eating a varied diet from lots of the different food groups will make you feel much better and maintain your health throughout your pregnancy. Don’t neglect the amount of fluid you take either; dehydration is not good for you and your baby. 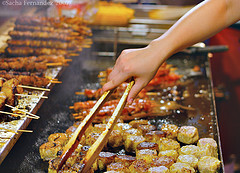 Try to limit the amount of fatty food that you eat too, it is tempting to pig out on comfort food and it should be part of your diet; just try to keep it under control. 1. When diabetic women are pregnant it is more important than ever that they pay attention to their diet and their eating patterns. Monitoring your blood glucose levels is essential during pregnancy to ensure that both mother and baby are getting all of the key nutrients that they need. Do not blindly come up with your own eating plan however; seek the help of a professional dietician or diabetes expert, as they will know what they are doing. Pay special attention to the amount of calories, carbohydrates and protein that you are getting as these are all instrumental in maintaining blood glucose levels. 2. Please make sure that you continue to monitor your blood glucose levels closely. With pregnancy your levels could be a bit more sporadic, so you have to take extra care of yourself. Take your glucose levels more frequently than before. Ideally your SMBG should be taken from 4 to 10 times each day. 3. Now that you are monitoring your blood glucose levels more regularly, you will need to know how to adjust your insulin injections according to the results. Too much insulin could be very dangerous for you, so make sure that you talk every scenario over with a professional or have someone on hand for advice. An adequate supply of insulin is obligatory for pregnant women, so it is important that each woman knows how to inject it correctly by herself. Your babyŐs supply of insulin has to be stable so do your research and get all of the info necessary at the start of your pregnancy. 4. If you are a pregnant diabetic you are more prone to hypoglycemia because of the hormonal changes in your body. Therefore you will also need to know how to treat this condition. Although studies have shown that it does not have a damaging impact on the fetus, it is best to deal with the problem as soon as you can. This will lessen problems for the mother during her pregnancy. 5. Exercise should not be abandoned when you become pregnant, as it is very beneficial for you and your baby. It will also help you with the birth and make you more able to cope with the after effects of labor. Exercise also reduces the risk of hypoglycemia and becoming overweight for diabetic women. Of course you will not be undertaking jogging or high impact workouts, you have to think of your safety. There is nothing better than a swim, walk or yoga for you and the baby as it improves circulation and your general mood too. There are a number of causes of diabetes that many people are aware of because of the increase in the media advertising about the disease. However, not all diabetes are as obvious and sometimes getting a formal diagnosis make take years. As such, some causes may not be as obvious or well known as some people may realize, but there are also many misconceptions about the causes as well. Usually diabetes happens when your pancreas fails to produce sufficient insulin or the insulin that your body has produced does not work as it should, which causes your body’s glucose levels to get too high. 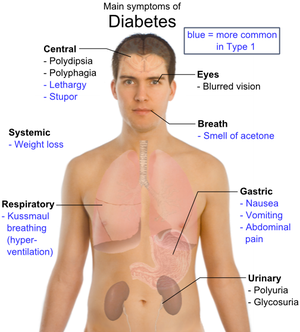 However, this varies depending on the type of diabetes. In type one, the destruction of pancreas cells prevents you from producing insulin, which may result possibly from an autoimmune response, a bacterial or viral infection, consumption of chemical toxin contaminated foods, and/or exposure to milk from cows at too young an age. 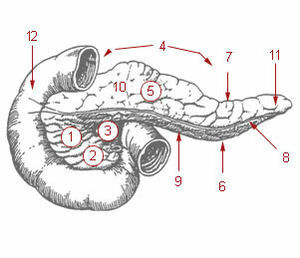 In type two, your pancreas produces the insulin, but your body cells do not respond to it, meaning that you develop an insulin resistance, which may be due to a lack of exercise, obesity, aging, particular medicines, diseases or illnesses that damage or affect your pancreas or pregnancy. Contrary to popular opinion and rumours, the causes of diabetes cannot be caused by eating bad food, wrong foods or even sweet foods. Though eating those might cause you to become obese, which in regards to the strain on your body due to the weight gain can lead potentially to diabetes, food alone is not the cause. Additionally, stress is not a cause because it has no direct effect on the pancreas or the reaction of the body towards insulin. However, stress can trigger of an immunity reaction whereby the body attacks itself, which can thus lead potentially to diabetes. Most importantly, you cannot catch diabetes as it is not contagious and there is no existing evidence to show that it is hereditary. 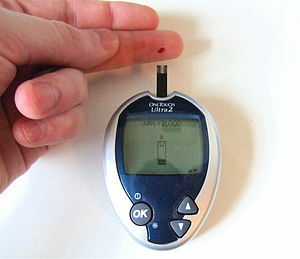 The causes of diabetes are very well known. Though many myths exist about its triggers, the reality is that diabetes is mainly caused by the pancreas malfunctioning, the insulin not being effective, excessive weight gain and potentially other illnesses or diseases. However, there are many on-going studies that may yet reveal more information that will help scientists identify which people will get diabetes and why they specifically will get it when others do not. Sometimes, people develop diabetes for completely unknown reasons. 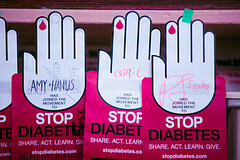 Diabetes is on the rise, yet most cases of diabetes are preventable with healthy lifestyle changes. Some can even be reversed. The bottom line is that you have more control over your health than you think. If you’re concerned about diabetes, you can make a difference by eating a healthy diet, keeping your weight in check, and getting exercise. Packed with powerhouse nutrients, vegetables are naturally low in calories, and they’re full of fiber, so they’re plenty filling. Loading your plate with vegetables will automatically mean you’re eating fewer simple carbs (which raise blood sugar) and saturated fats (which increase insulin resistance). Aim to get foour or five servings a day. Research has shown that onions contain an anti-diabetic compound, which is much similar to the compounds (propyl, allyl, allicin and disulphide) that are used for insulin synthesis. At the center of the famously heart-healthy Mediterranean diet is olive oil is considered a ‘good’ fat that helps slash the risk of heart attack — and has been shown to help keep blood sugar steady by reducing insulin resistance. So toss the butter and cook with olive oil instead. Beans are just about your best source of dietary fiber, which not only makes you feel full longer, it actually slows digestion and keeps blood sugar from spiking after a meal. This effect is so powerful that it can even lower your overall blood sugar levels. Versatile, extremely lean, and low in calories, chicken breast is practically a miracle food. Unlike steaks and hamburgers, it’s low in saturated fat, which raises ‘bad’ cholesterol and may increase insulin resistance, making blood sugar control more difficult. The right breakfast cereal is your absolute best opportunity to pack more fiber into your day. There is a bonus: studies show that people who start the morning with a high-fiber cereal actually eat less later on. Amazingly, just by sprinkling cinnamon on your foods, you could lower your blood sugar. 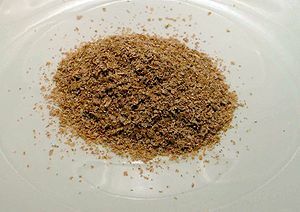 Components in cinnamon help the body use insulin more efficiently, so more glucose can enter cells. Skimmed milk can be taken and use yogurt with no additional flavors.